We have a brand new boat available to hire from our base at Trevor on the Llangollen Canal. 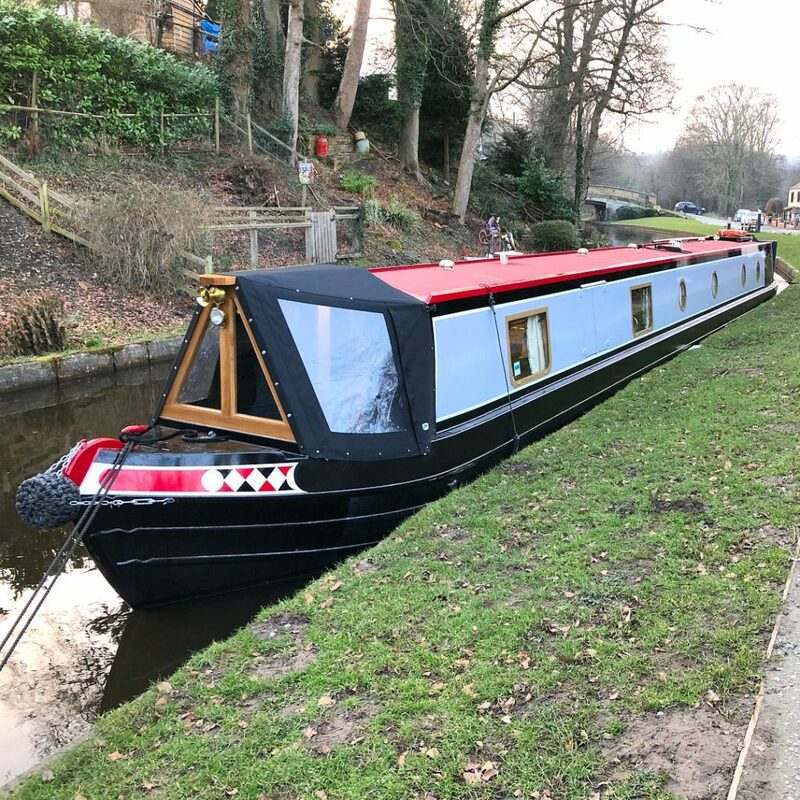 ‘Lily’ has all of the elegance and style of a historic narrowboat but with every modern convenience for today’s family holiday! ‘Lily’ is 66ft semi-traditional stern narrowboat offering ‘heritage’ features alongside some modern home comforts. 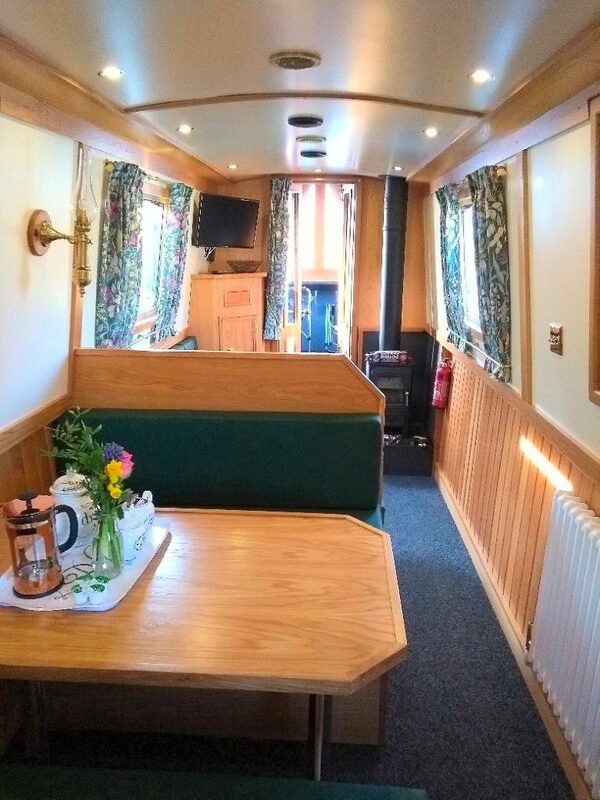 She boasts many traditional boat features such as a cratch over the fore deck, side hatches next to the dinette, belfast sink, port holes and a solid fuel stove in the saloon (starter pack included). These homely features are also combined with modern features such as LED lighting, full radiator central heating, WiFi & 240v electricity. On-board there is a small travel hairdryer and a 12v mobile phone charging point. Lily has a spacious saloon with dinette seating, an additional sofa and a traditional fuel stove. There is aTV/DVD player and a CD/Radio player in the saloon. 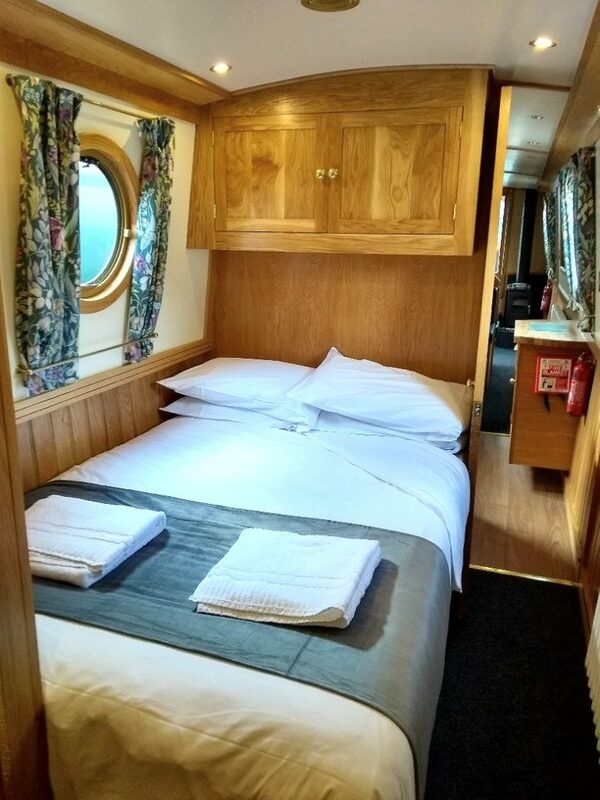 She features a well-equipped galley with 4 burner gas cooker complete with grill and oven, there is also a fridge with a small freezer compartment, belfast sink and drainer. There is a microwave and a cafetiere in the galley. There are two cabins onboard, one with a permanent double bed, the other with a flexible layout. Lily is available to hire for short breaks, weeks or fortnights from Trevor, close to the famous Pontcysyllte Aqeduct! This entry was posted on March 20, 2018 at 11:24 am. You can follow any responses to this entry through the RSS 2.0 feed. Both comments and pings are currently closed.